Material: Vinyl Plastic. Clear On Both-Side Of Holder. The durable horizontal photo ID holder is a great holder for long term use. 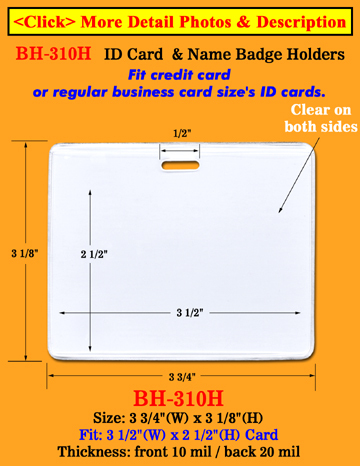 It fit your horizontal style photo ID cards or nametags with extra protection from bending.